Box office times Mon–Sat noon–4pm. 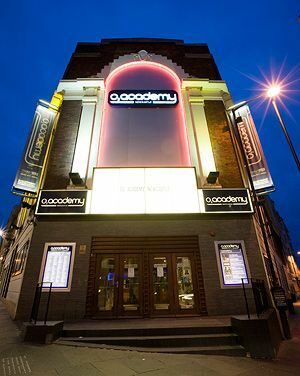 The O2 Academy Newcastle was built as a cinema in 1927 before becoming the Majestic Ballroom, in which guise it played host to many classic 60s bands; the Beatles wrote 'She Loves You' after a memorable 1963 gig at the Majestic. Following the inevitable spell as a bingo hall, it was totally refurbished in 2005 but retains many of its original features. It can hold 1620 people in its main space, or up to 380 in Academy 2. Besides live bands it now hosts the popular club night Alpha.